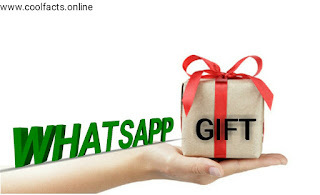 Whatsapp gift - for New year 2019 - COOL FACTS | the knowledgeable cool Facts site. Currently there are many white messages coming to WhatsApp. They had to play one by one to listen. But now the new feature only needs to play a voice message once. Then all messages will play automatically. Currently, this feature is only available on beta versions. There will be a QR code scan contact on WhatsApp in 2019. With the help of this feature, you will be connecting with the new contact through a QR code scan. You can also share your contact with QR code. Whatsapp is working on dark mode feature for a few days. When this feature is started, the background color on the whitespace will turn black. The contact rankings will be done through this new feature on Whatsapp. The person with whom the more familiar users will see the most is seen in the contact. Accordingly, the sequence of other contacts will be decided. With this new feature the new contacts will be able to add to the will. After the introduction of this feature, the user will be chosen as the place where the number is. By doing so, whatsapp will automatically code the country, then the user can add your number. think that you may have liked this knowledge and would like to share this information or these WHATSAPP FACTS with your friends.